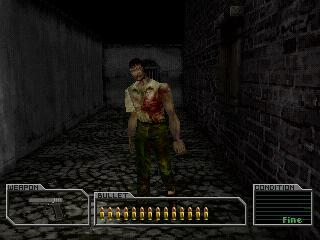 OverviewResident Evil: Survivor is a first person light-gun shooter developed by Capcom which makes use of the GunCon. 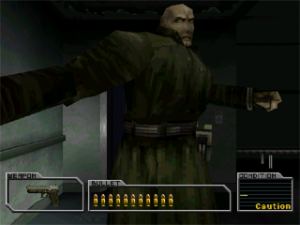 The game departs from the traditional third person viewpoint used in past games in the series giving it a more arcade feel. 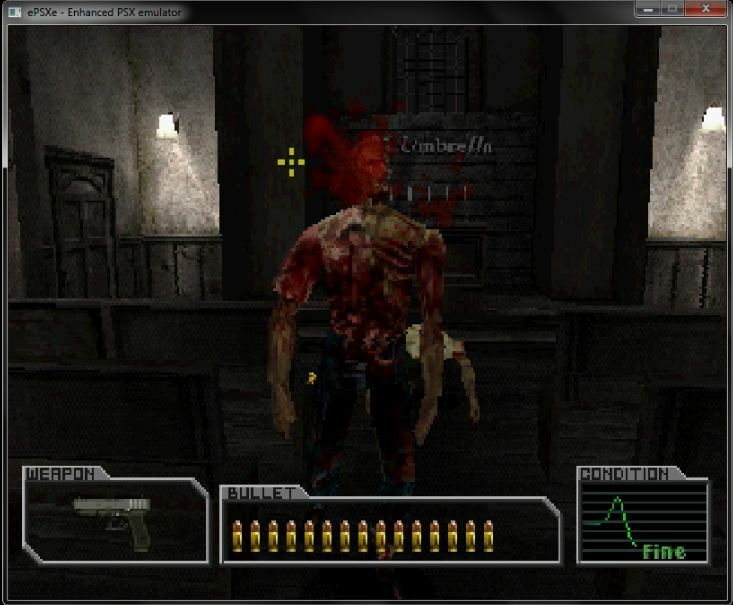 GunCon functionality was removed for the North American release. Resident Evil: Survivor, was Capcom's trial on making a first person shooter. It failed. Almost miserably. Just kidding! It's a nice game after all. 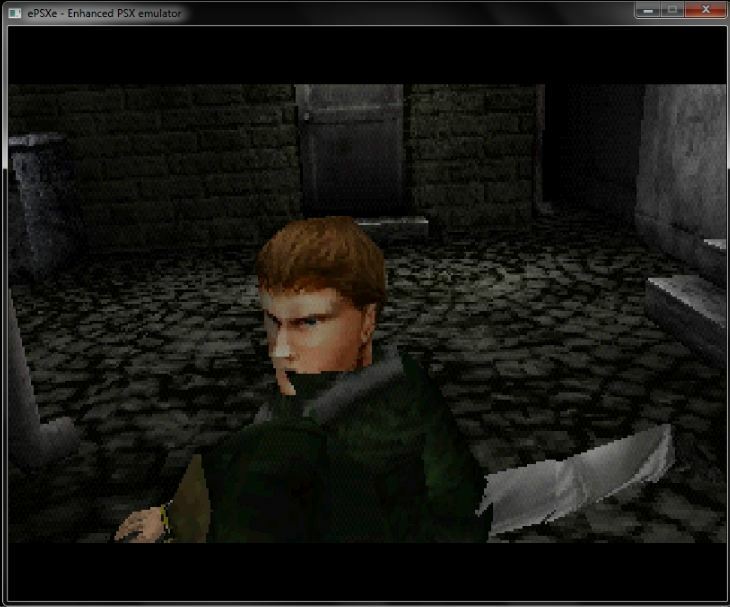 It doesn't have much Resident Evil style, as it is more point and shoot. In many parts of this game, you'll have to choose between some ways, to define the story. There's always the easy way, the hard way, and the certain death way. In the certain death way, is where you get the big prizes, but you'll always find Tyrants in there. Your objective is, remember who you are. When you do, you have to complete your misson, that is, escape from where you are. Simple, but dificult in some parts. 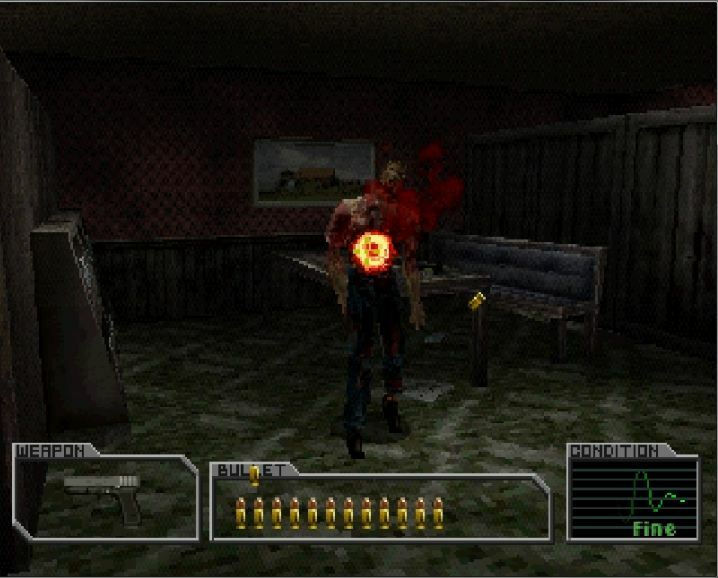 If you get to the last boss of this game with enough ammunition, congratulations, you will get less points for not killing many zombies. At least you got infinite pistol ammo. 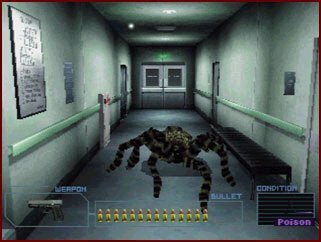 If you played RE series before, you'll get familiarized with some returning monsters, if not all of them. It's a pretty short game, less then 2 hours of gameplay, then, not so worth playing it, unless you are a big fan of RE series. 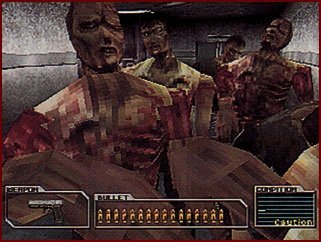 RE Surviver looks and plays worse than almost any other game in the series. It was ment to work with a Guncon controller, which would have made sense. 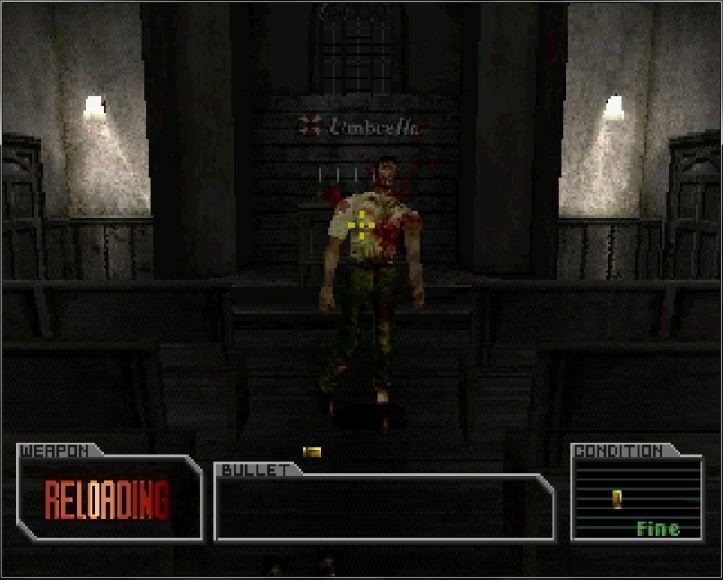 However, becuase of the Colombine shootings, Capcom mapped the guncon controls to the controller and removed the Guncon support for the US version, which ended in failure. 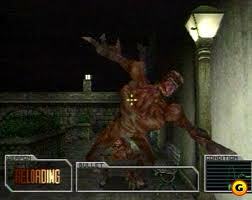 Go play RE 1,2,3, or any other Resident Evil game instead of this one. Now you can add videos, screenshots, or other images (cover scans, disc scans, etc.) 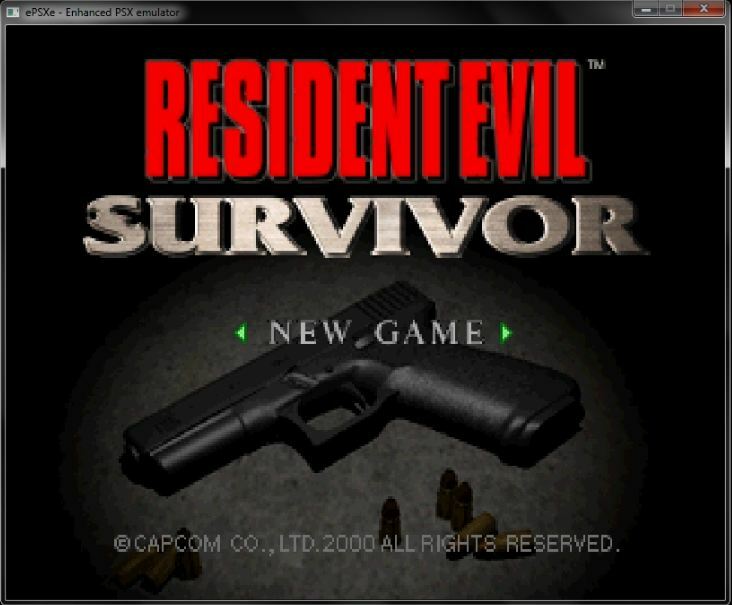 for Resident Evil Survivor [U] to Emuparadise. Do it now!